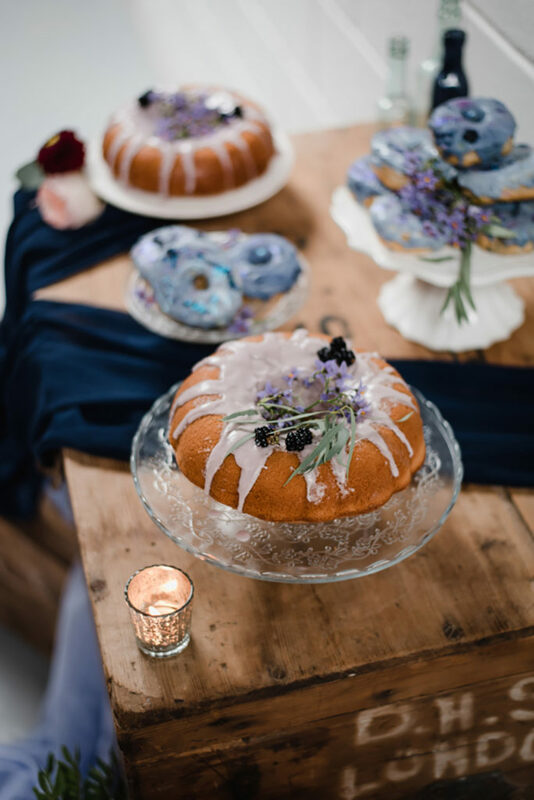 Images by Laura Martha Photography. 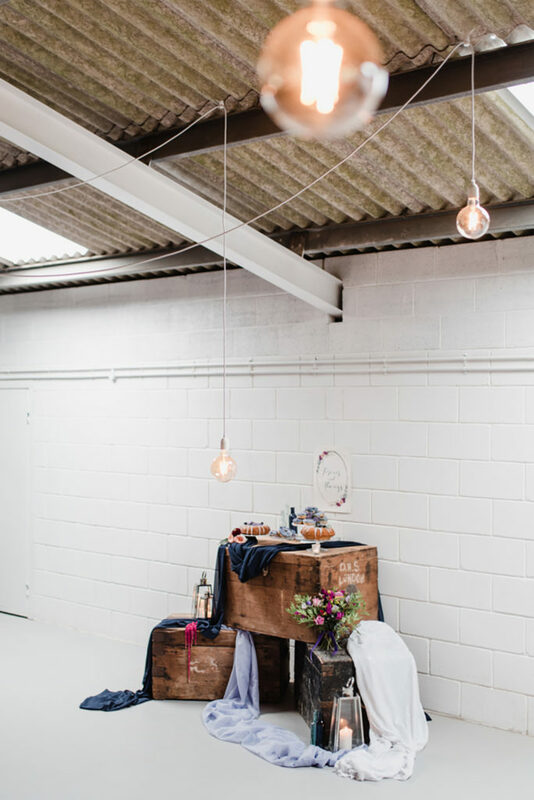 The Barn at Avington is a beautiful blank-canvas barn with an industrial edge and every time I see the venue styled it’s perfection. 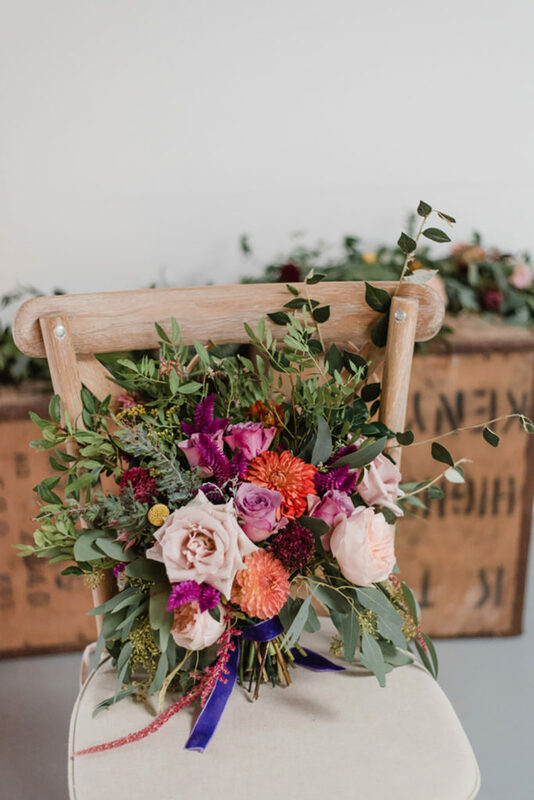 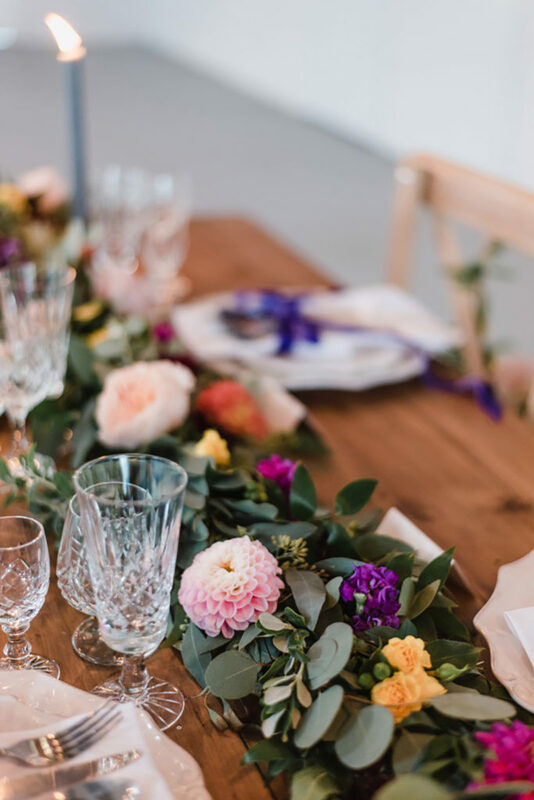 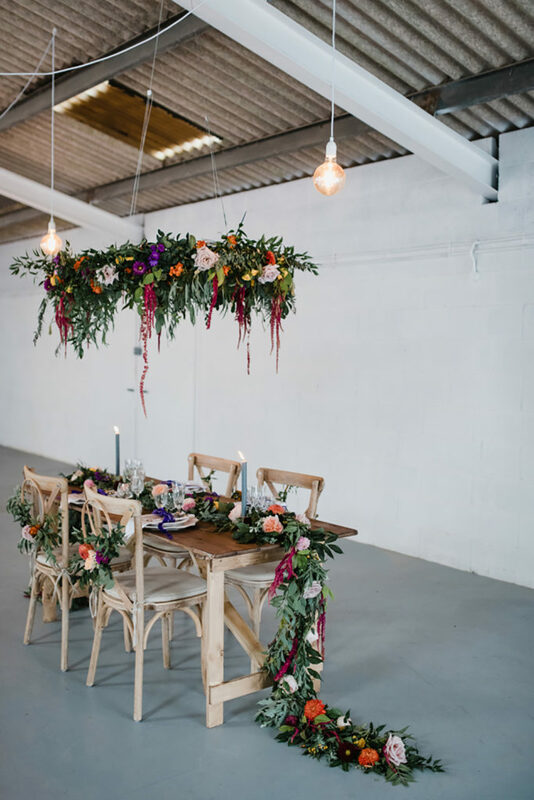 Abi from The Wedding Café and Laura Martha Photography teamed up for this Modern-Rustic shoot. 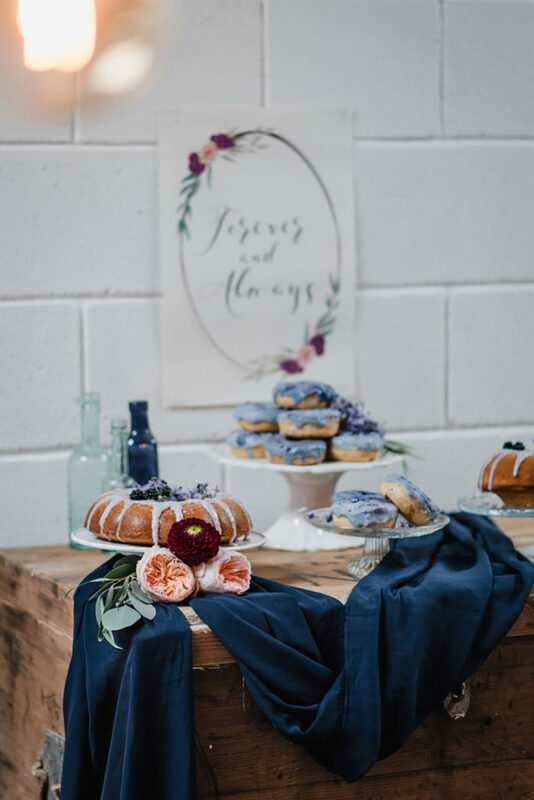 This styled shoot was aimed at giving a modern couple with the love of rustic and classic romance something to incorporate in their wedding day, focusing on current and future wedding trends. 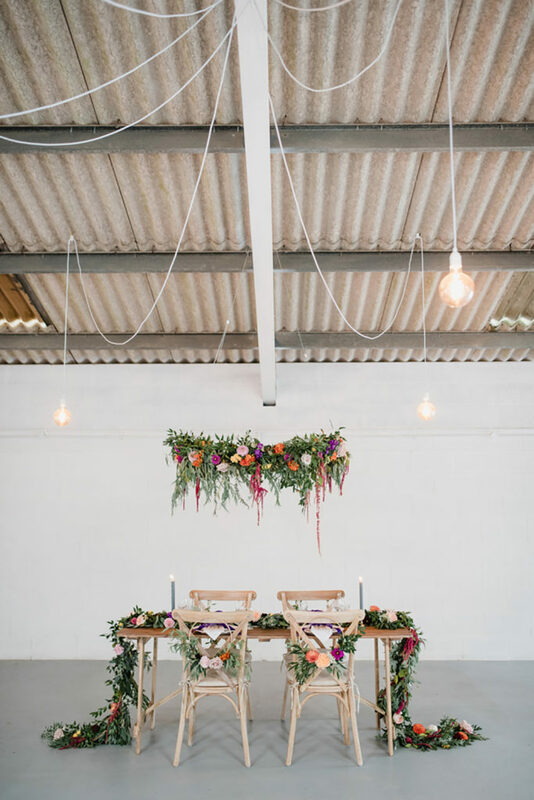 The venue, The Barn at Avington, is a unique venue located on a working farm. 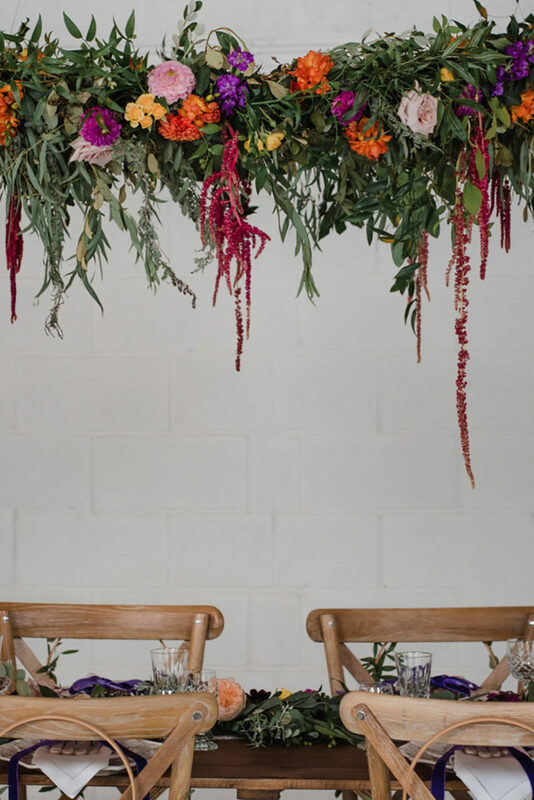 With peaceful surroundings and green lavishness, it can be found near the river Itchen. 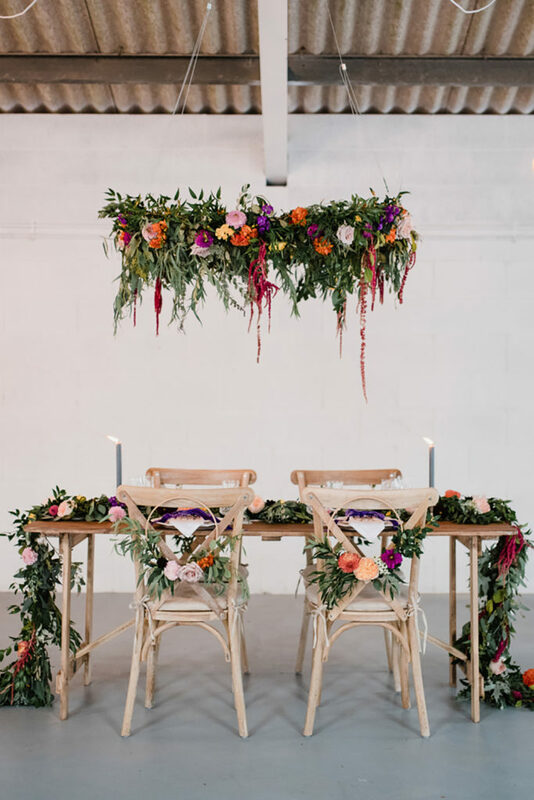 Ceremonies can take place surrounded by beautiful nature. 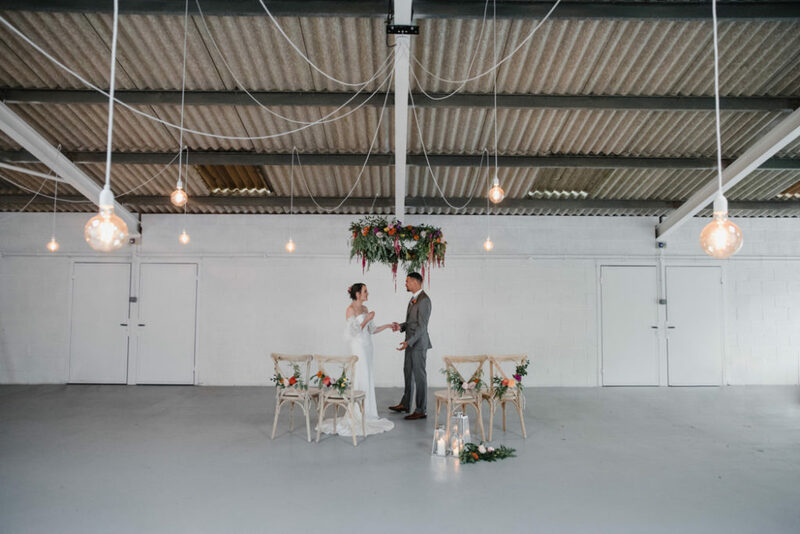 Inside, the barn boasts amazing white brick walls, and exposed ceilings, providing a magnificent clean blank canvas for any wedding style. 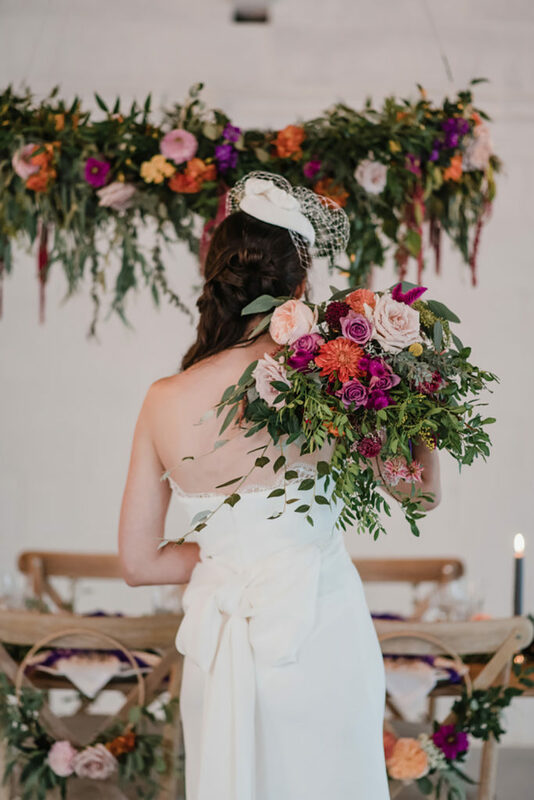 Here you’ll be welcomed by Beth, and we’re so thankful she let us use this beautiful venue! 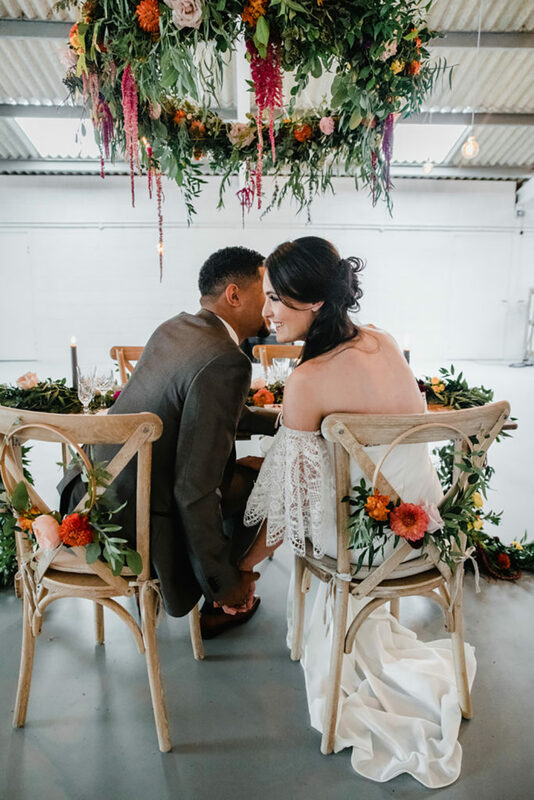 The theme of the styled shoot was modern elegance entwined with classic romance. 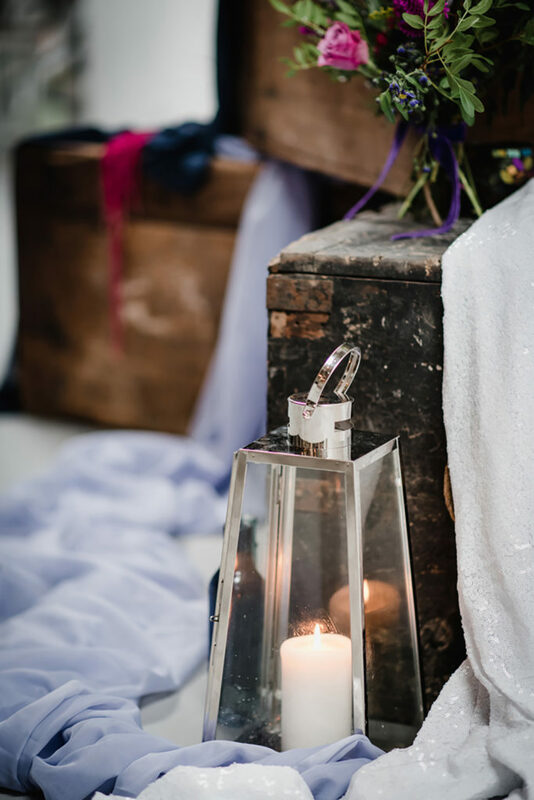 The purpose was to portray some key elements that couples can take away and incorporate into their own wedding. 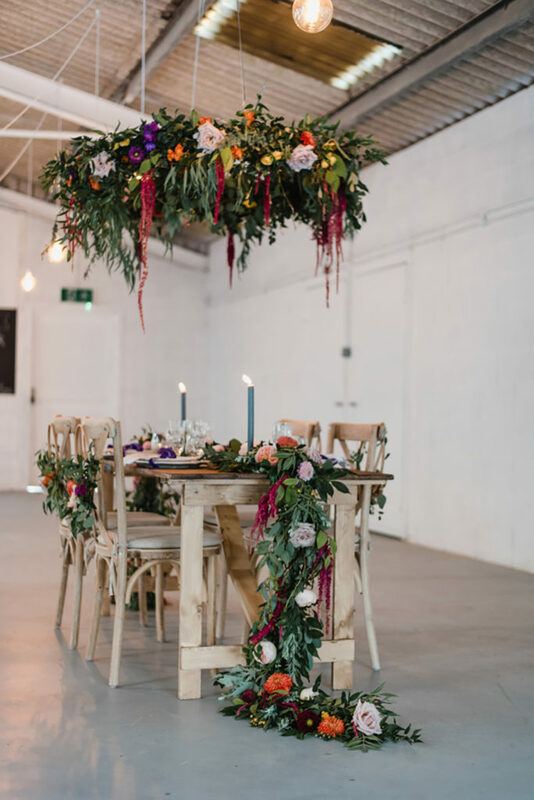 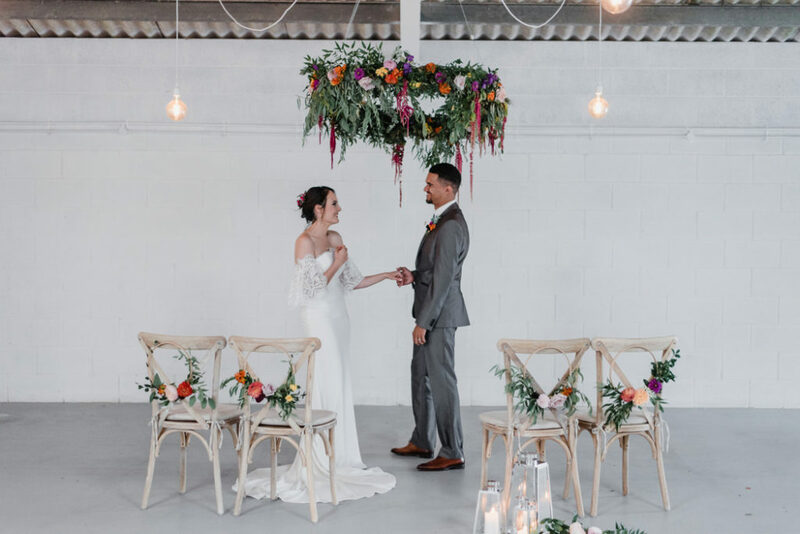 The use of pre-loved furniture in this industrial style barn worked beautifully with a rustic trestle wooden table and chairs provided by Vicky at Purple Door Props, a favourite supplier at The Barn at Avington. 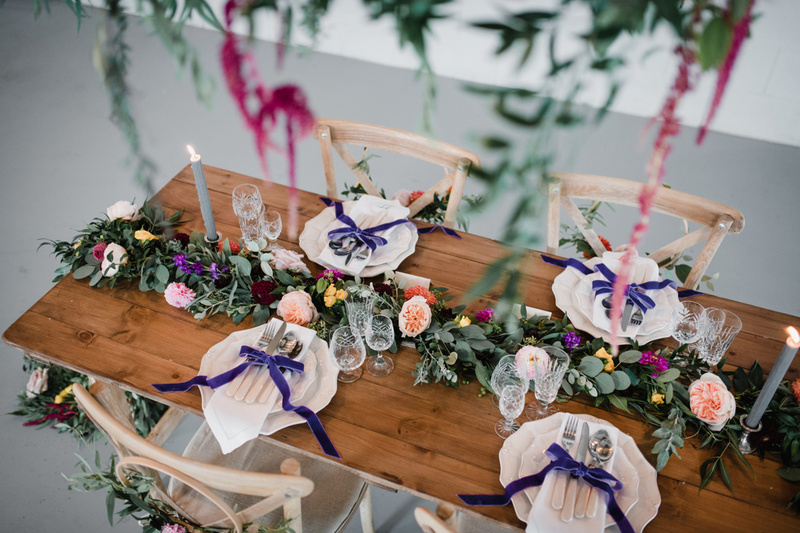 Heavy greenery with bright bold and mis-matched coloured florals perfectly designed by Gemma at Iris & Co, sat atop the tablescape. 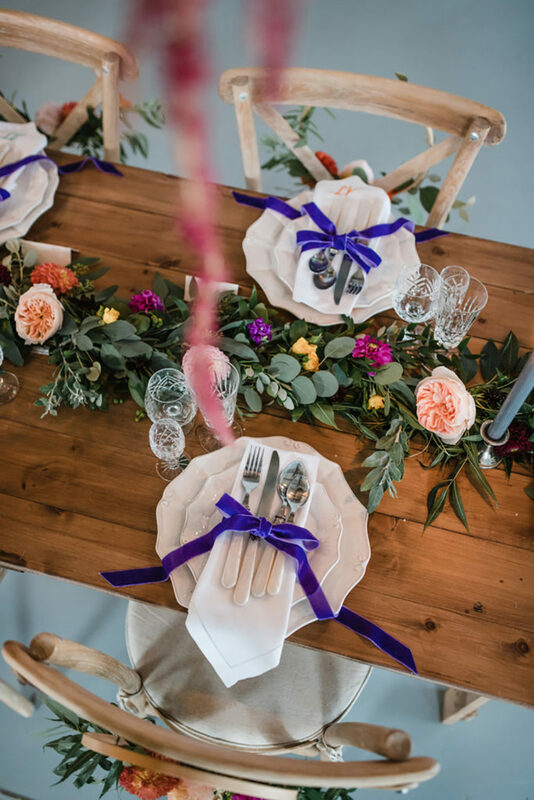 We incorporated bows and texture, seen through the use of velvet ribbons in the tablescape design, personalised pure linen table napkins by Heidi at Extra Special Touch, and across the bride’s dress and accessories by Miao at Aneberry Bridal. 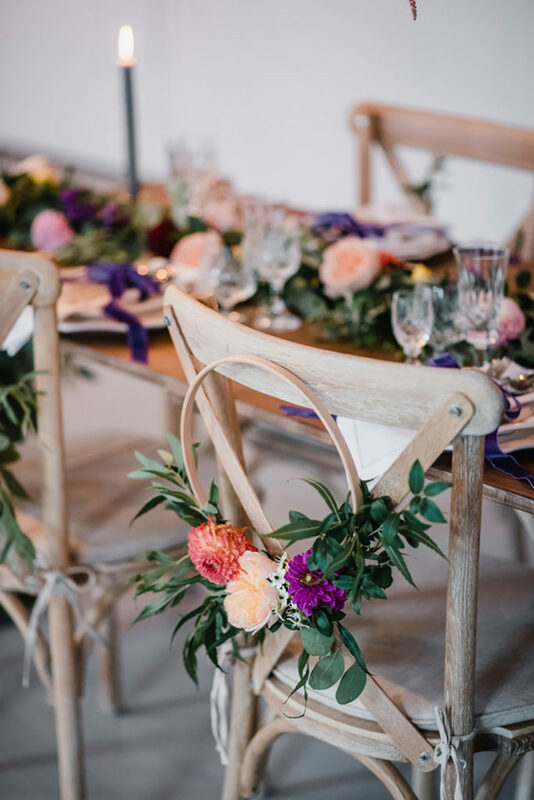 Couples are still in love with hanging centrepieces, Gemma at Iris & Co crafted a beautiful wreath that hung perfectly over the tablescape. 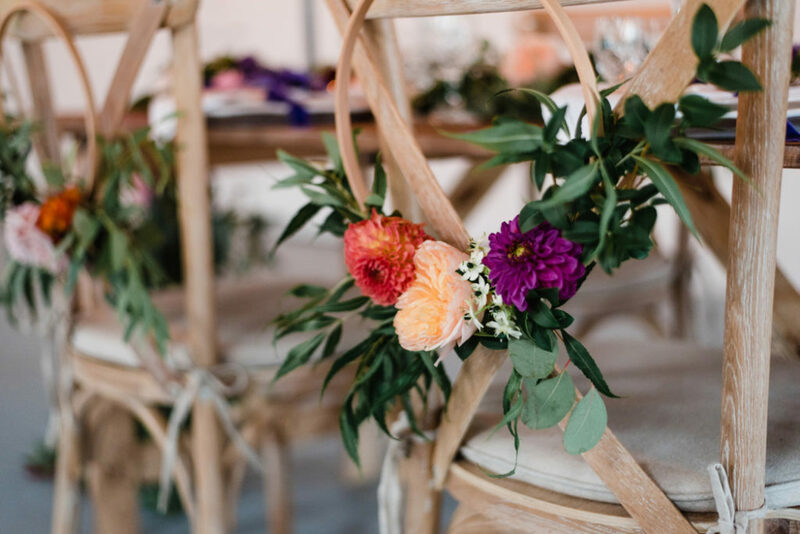 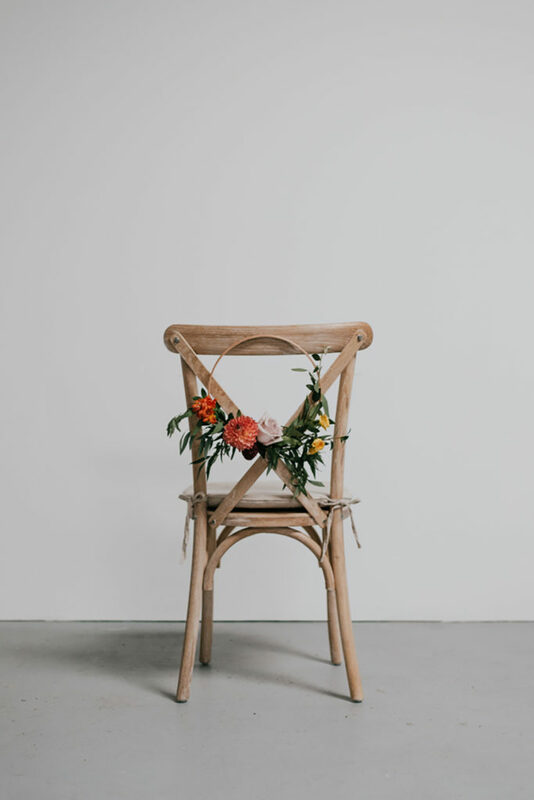 Small floral wreaths were also attached to the back of each chair which instantly added a new element of detail to the design. 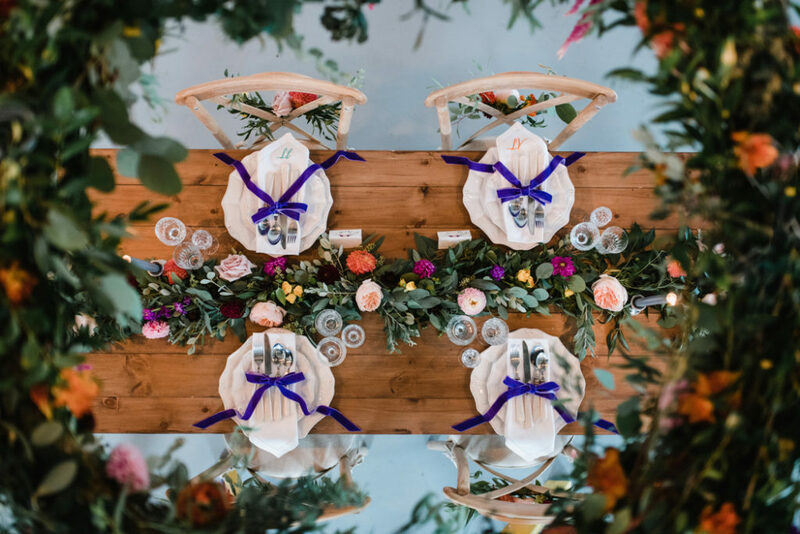 The circular shapes and rustic theme continued across the romantically designed stationery by Lorna at Lorna Boyer Design. 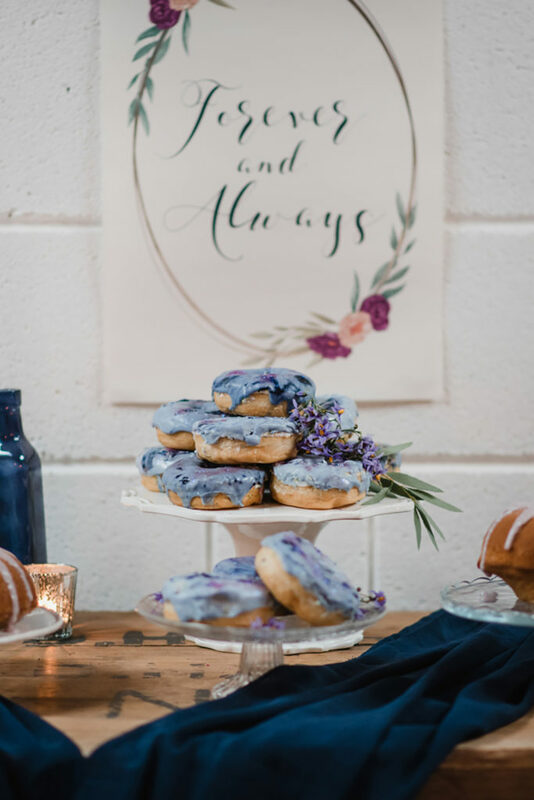 The ‘Always and Forever’ signage took centre stage across the rustic dessert station which had light violet coloured doughnuts and Bundt cakes made by the duo Michelle & Daniel at La Belle Cake company, romantically decorated with all the ornamental props from Sara at Venue Styling by Sara. 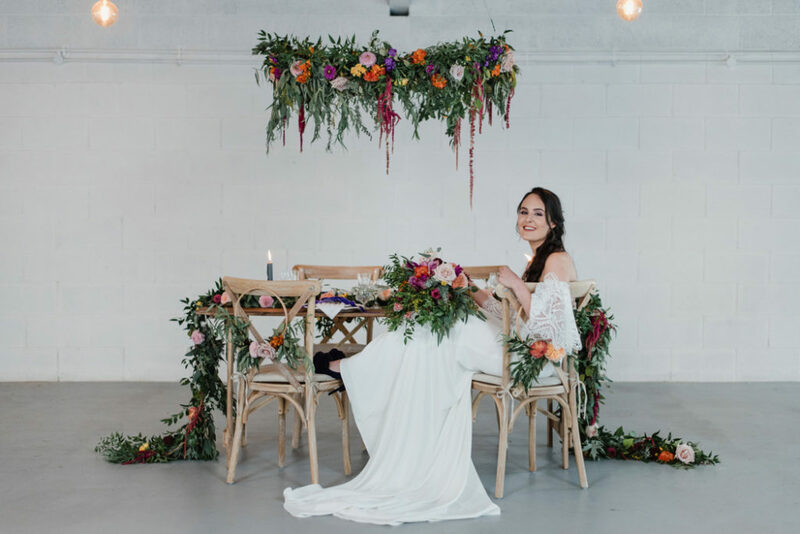 The concept for the bridal wear was to keep it simple and elegant, and Aneberry Bridal provided the perfect gown for this shoot. 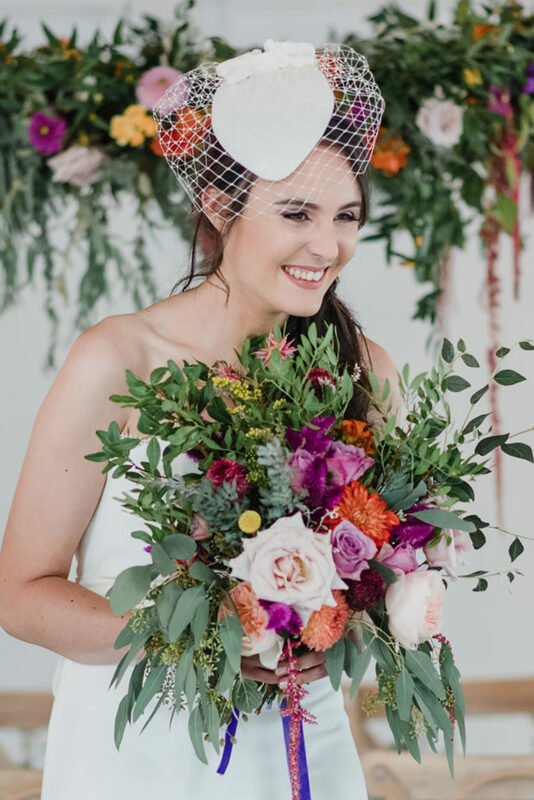 The detachable bow sash wrapped around the gown was added to compliment the overall bow theme and the detachable dainty sleeves made of beautiful intricate lace, added an edge and modern wow factor to the gown. 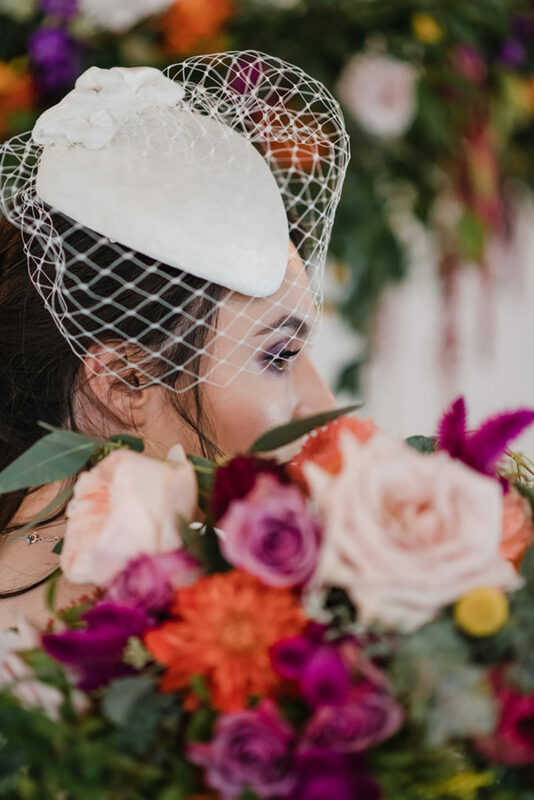 The velvet headpiece beautifully designed by Svetlana at Present Perfect Creations added a little romance to the overall look. 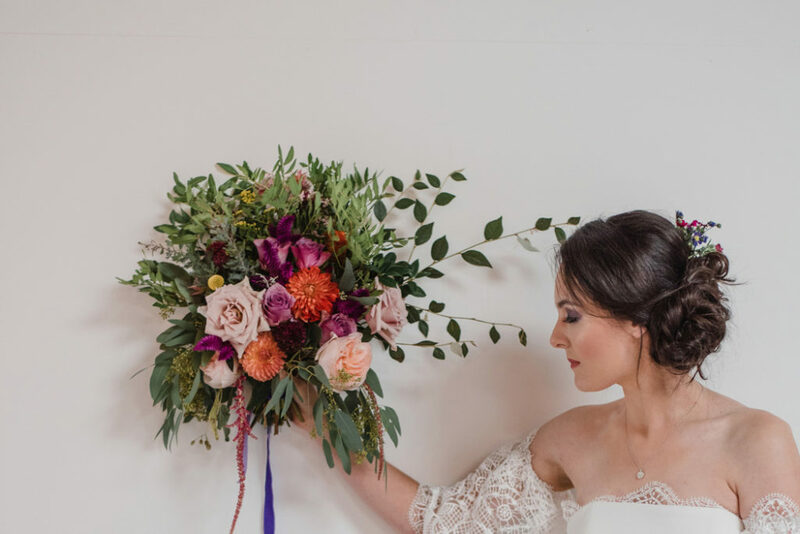 The hair and make-up was by Mehwish Saquib who elegantly incorporated violet tones on the eyes, keeping the overall look natural with some added boldness of colour. 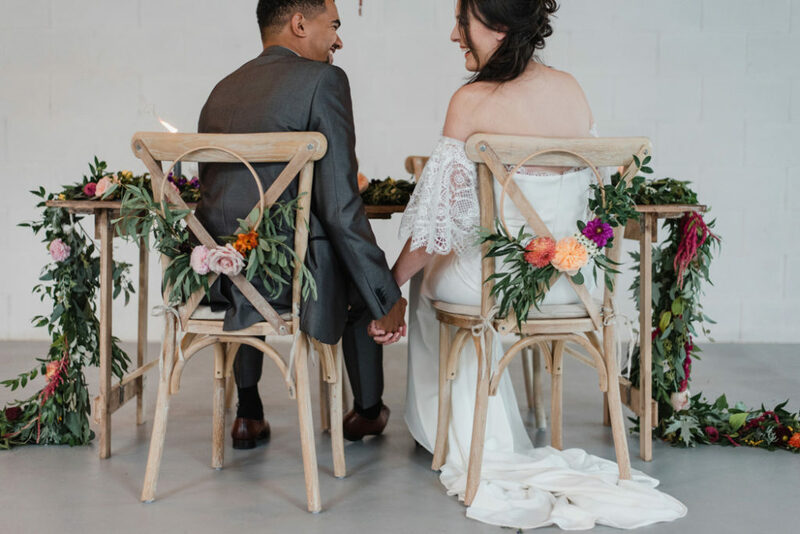 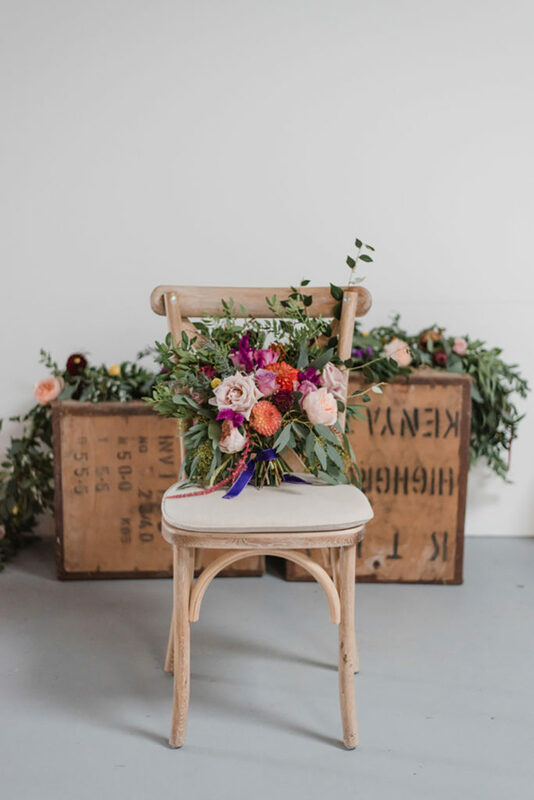 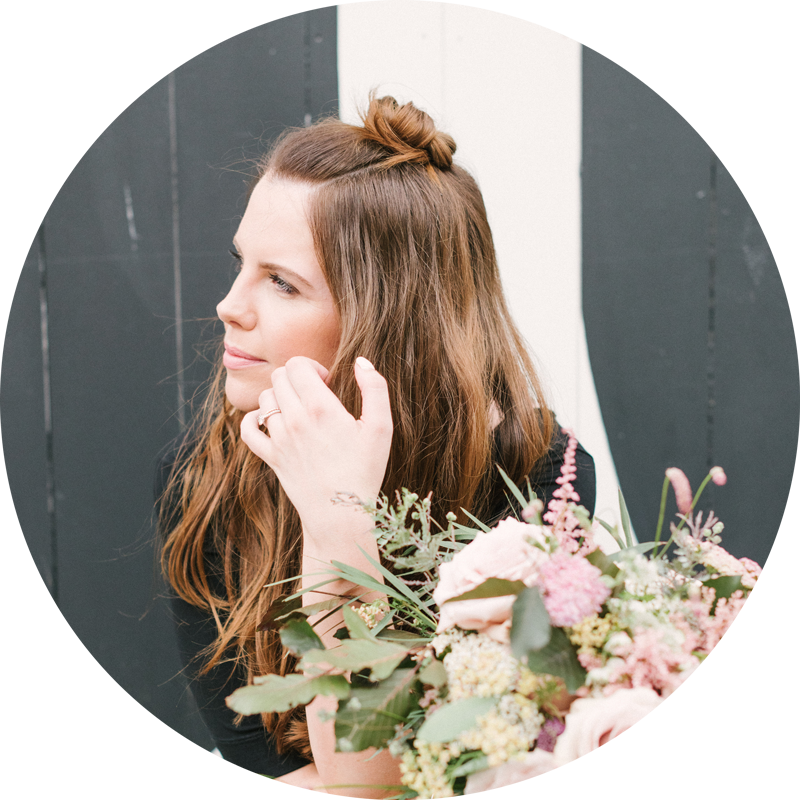 The shoot was perfectly captured by Laura Martha Photography; Laura’s photography style is natural, relaxed and honest. 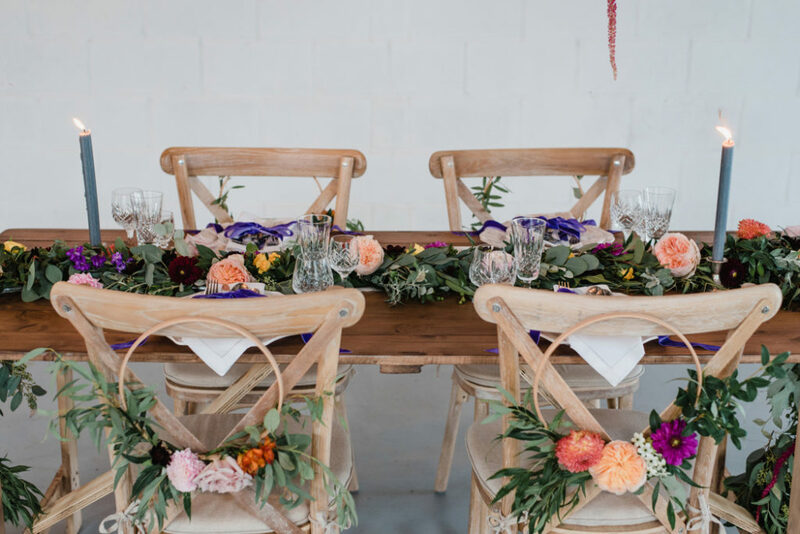 Couples can incorporate this design by not been caught-up on the colour palette trends, but allowing the freedom to combine mis-matched bold colours with simple clean backdrops. 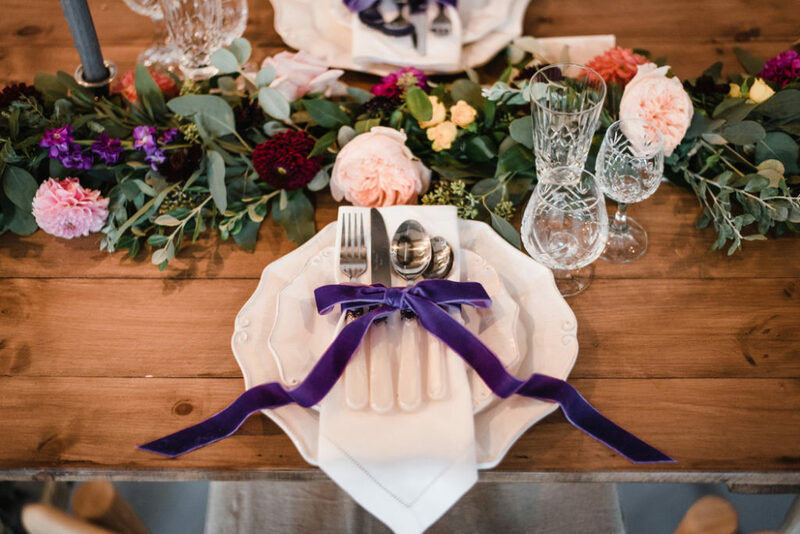 As well as colours, do think about textures as they add a beautiful dimension to a wedding design.